New York City is one of the most expensive cities to live in the country and even was recently added to the list of most expensive cities in the world. In the United States, New York goes head-to-head with Los Angeles and San Francisco in terms of high costs of living; but recent changes in rent in New York has made the city more unaffordable than ever. 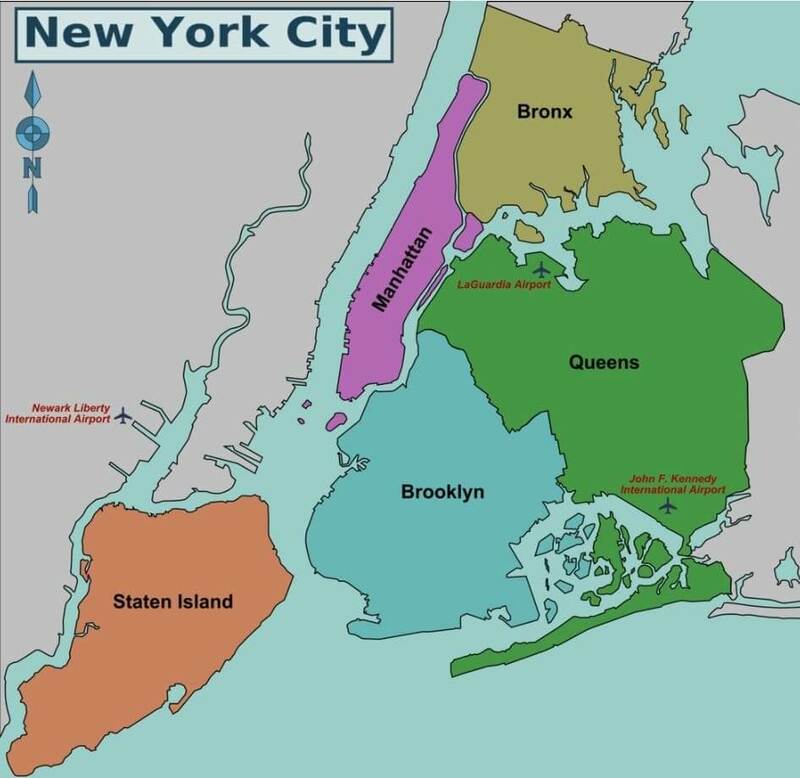 The City of New York is made up of five boroughs — Manhattan, Brooklyn, Queens, The Bronx, and Staten Island — and within those boroughs are roughly 300 distinct neighborhoods. Simply put New York is massive and every inch of the city is in high demand. So just how expensive is it to live in NYC? We researched New York rent prices across its five boroughs and 300 neighborhoods to determine how the city compares to the rest of the U.S., and to see how dramatic rent changes in New York in 2019. As of February 2019, the estimated monthly average rent in New York City is $3,369, according to Rent Jungle, and reaching an average high of $4,188 just in Manhattan according to Rent Café. Last year the average rent in NYC was estimated to be around $3,321, which means the city has only seen a 1.5% increase from 2018. This year has proven to be slightly more affordable for New Yorkers who are currently house hunting. 2019 started with a rent average of $3,415 but has decreased by 1.37% since January. In one of the world’s most expensive cities, it’s comforting to see rent prices aren’t moving up too drastically. There are more broken down statistics organized by borough, area, and neighborhood with the average rent for studios and one, two, or three-bedroom units on City Realty. New York is an attractive city for many reasons, but mostly because of its intense diversity with people of different backgrounds. Each of the five boroughs is made up of countless cultures, communities, and economic statuses. While some neighborhoods are notorious for being home to the rich and famous, there are other places in New York that are more affordable for the average person. The drastic price difference between the priciest and most affordable neighborhoods exemplifies the wealth that accumulates and how New York rent prices differ in certain boroughs. New York apartment prices rise and fall depending on how trendy and desirable a neighborhood is, especially for young people. It can be hard to pinpoint an average in a city so massive with drastic differences in wealth and housing accommodations. As a basis, we will reference data from those who rent an apartment in Manhattan, which is one of the most well-known boroughs for those unfamiliar with the rest of New York. The average size of a Manhattan apartment is 703 square feet (which may not seem small but keep in mind many New Yorkers have multiple roommates!). The average rent for a one-bedroom apartment in New York is $2,821 a month. One-bedroom units have an increase of 0.74% in monthly rent prices since last year. Rent for a two-bedroom apartment is around $3,670 a month, which is up 2.94% from last year’s data. The most shocking statistic, however, comes from Rent Cafe which reported that only 1% of rent ranges in Manhattan are between $1,501 and $2,000. This means that 98% of them cost more than $2,000 a month. This data is a shocking reminder of the skyrocketing cost of living and rent increase in New York. Over 8.6 million people call New York home and the city hosts over 60 million visitors annually. With so many people continuously flowing in and out of the city, it’s no wonder New York rent for an apartment is so expensive. So is all of New York State this pricey, or does New York City stand alone? As it turns out, the New York State median gross rent is only $1,226. Living upstate is drastically different from NYC, from the environment and people to the more affordable cost of living that doesn’t come close to the average rent in New York City. In fact, many towns in New York State have extremely low costs of living. Some of these places even boast their average monthly rent being as low as $734. Prices in New York and the U.S.
Needless to say, New York City is far more expensive than the rest of the United States. In February of 2019, the national average rent was recorded at $1,426, which is the nation’s all-time high. This means that the average rent in all of New York City (approximately $3,369) is more than twice the national average. If you move to New York and rent an apartment in Manhattan, be prepared to pay nearly three times as much as the United States average, around $4,188. 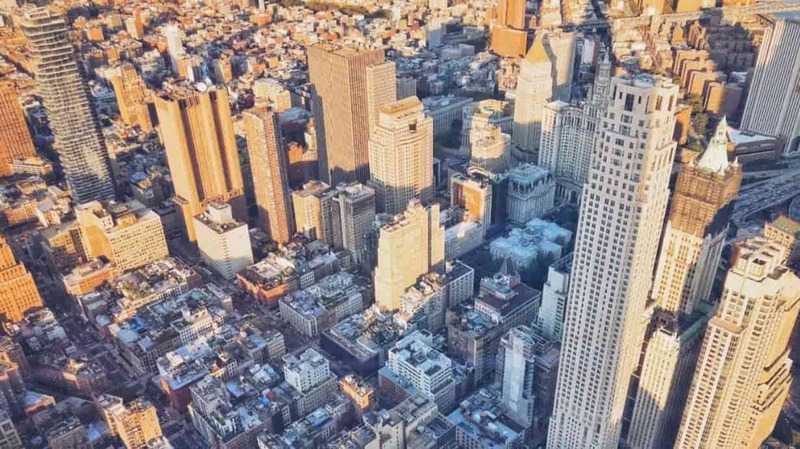 It’s true that living in The Big Apple can be up to three times more expensive than other places in the United States, but that hasn’t stopped it from being a popular destination for recent college grads. See what’s trending in New York City that makes people so willing to pay the hefty price.